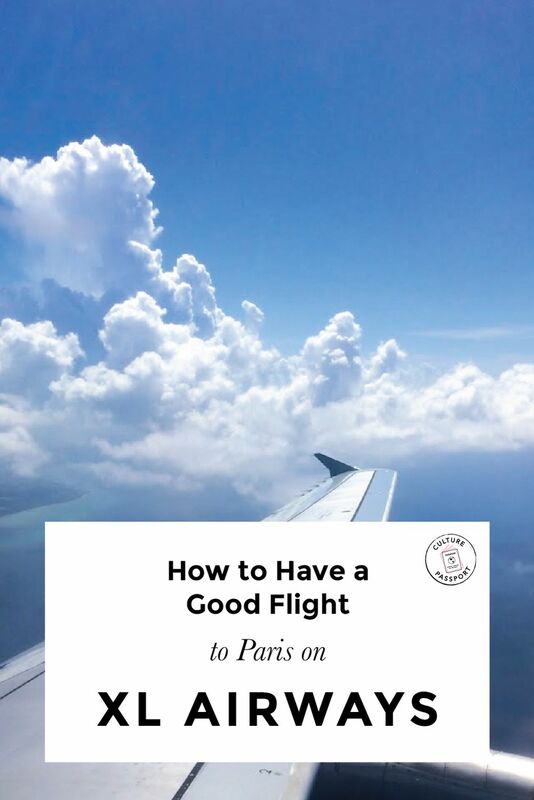 When I pressed “Confirm Booking” on my one-way flight to Paris this past spring, I have to say I was quite nervous. Why? Because I booked a seat with XL Airways. Luckily, I made it to Paris safely and satisfied with my XL Airways purchase – but only because I did my research, which I share below! I booked the 11:55pm flight from JFK Airport to Charles De Gaulle. It is recommended to arrive 3 hours early, so I made sure to arrive by 9pm. XL’s check-in desks are located in Terminal 4, and in my experience, at counter 6. Sure enough, there was already quite a long line of travelers waiting to check-in, around 40 or so I’d say. The line moved pretty quickly, and having this extra time can be beneficial if you need to rearrange your bags due to the weight restrictions (next point!) or if you find yourself in an unforeseen predicament with your itinerary the way I did. XL allows one carry-on item per person, at a weight of 5 kg / 11 lbs. They also allow a small personal item such as a briefcase, laptop, camera or overcoat. For most travelers, this will not be enough. Luckily, XL offers travelers one free check-in baggage as well, weighing less than 20 Kg / 44 lbs. I brought one suitcase to check-in and carried on a tote bag with me. My tote bag had my laptop and DSLR camera so it was very close to 11 pounds. It was not weighed by the ticket agents, but don’t assume yours won’t be as I’ve read they do weigh the carry-on baggage. I would guess that if you have a tote carry-on they won’t weigh it, but if you have a suitcase carry-on, they probably will. Unless you pay a fee, you cannot choose your seats ahead of time. My flight was on a Thursday, and I wanted a window seat. I actually forgot to ask the ticket agent for one when I checked in, but when I went to the agents at the boarding area of the gate, they happily moved my seat so I had a window! I would say the flight was 90% full, so if you’re flying on a weekend, you may not get as lucky as I did. In those cases, try to arrive as early as possible so you can request a seat you like at the check-in desk. Unlike Norwegian Air, which charges 6 euros for a blanket during the flight (and then proceeds to keep the cabin as cold as possible), XL Airways offers free blankets to all passengers placed on their seats before they board. The cabin was a bit chilly, so be sure to pack a sweater or jacket you can put on if you get cold easily like I do. There was no pillow for my overnight flight, so you can always use the spare sweater as a pillow if needed. You will have access to an Android tablet attached to the seat in front of you. I was happy to see that these tablets have a USB slot to charge your phone throughout the flight! I did not see any actual outlets, so laptop users may have to rely on their battery. It’s true the in-flight entertainment is quite limited. I would say of the ~10 films they had available, half were French films (with English subtitles) and half were American films. The Devil Wears Prada and Tomorrowland were two options, both of which I have already seen. I ended up watching a very good psychological crime thriller, 96 Heures, about a French cop who gets kidnapped by the associates of a criminal he helped put in jail. The French comedy Supercondriaque was another option. Modern Family and The Big Bang Theory were the only two television shows I would have watched due to boredom, and they had one episode each. There was no dinner on my midnight flight, so be sure to eat before checking in or at the airport. Water was offered after we took off and throughout the flight. I was happy drinking only water throughout the flight, especially after flying Norwegian Air last fall, which offers no free beverages at all. In the morning, around 2 hours before landing, a breakfast was served, consisting of French toast and syrup, a small cup of pineapple, strawberry yogurt, and bread with butter and orange marmalade. Anything besides water, coffee or tea must be paid for, which is fine by me. Due to the price, luggage allowance, and a free meal, I think XL Airways is a great option for someone looking for a reliable, affordable way to get to Paris!